The annual Wonderfruit festival will be held in Pattaya from Dec. 12 – 16, 2019. If you are not familiar with the Wonderfruit Festival, it debuted in 2014 and has been gaining global visibility as one of the big music and art festivals. It is a festival to celebrate music, art, and sustainable living. The organizers what to promote having fun in a socially responsible way. The festival is founded on what they call their ‘Pillars’. Music, Art, Farm To Feasts, Wellness & Adventure, Talks & Workshops, and Family. I think it is fair to say this is more than just a music and arts festival. Over 40 music acts will be performing throughout the weekend. You’ll hear music from local Thai bands and a large number of international acts that fly in for the event. The music spans across genres from a string quartet to house and techno and everything in between. It is the largest music festival (or any kind of festival I’d imagine) hosted in the city of Pattaya. There are dozens of art exhibits across the fields for visitors to explore and enjoy. You’ll also find a variety of art performances taking place throughout the day. All put together by both Thai and international artists. The stages the bands play on are themselves works of art and some of the most popular attractions at Wonderfruit. Designed and implemented by world class sculptures, these stages are something to behold. There will be eight stages in total and each one is unique. Some of the stages like the Solar Stage, The Quarry, and the Rainforest Pavilion will make you think your ticket bought you a pass into some sort of dystopian future. There is a fully functioning farm onsite, creating a link to the Wonderfruit sustainability philosophy. You can take part in workshops and other farm activities. There are also plenty of food and drink options around the festival that you don’t have to farm yourself. You’ll find selections of Thai street food, pizza, and other international treats. You can also take part in the Wonder Feasts. A series of outdoor banquet style meals prepared by well-known chefs. Farm to table, organic ingredients, and delicious eats. The Wonderfruit Festival attracts a variety of fitness and health and wellness personalities. You can take part in bicycling, free running, or take a flight in an ultra-light aircraft if you are more adventurous. 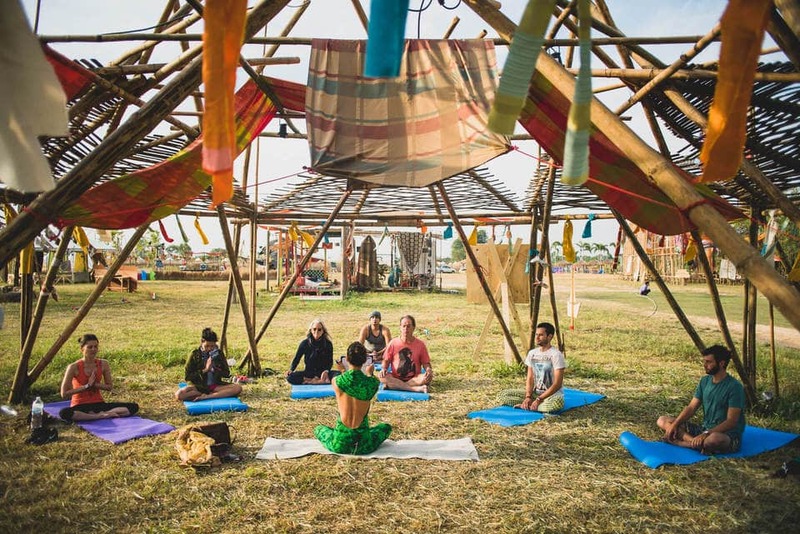 For those looking to relax there are sessions in meditation, yoga, and even power napping. Dozens of different classes are on offer. Take part in one of the many talks and workshops presented throughout the weekend. The talks mainly center around sustainability, green living, nature, and several other varied topics. If you are a Muay Thai fan or practitioner, you can have the opportunity to learn from Buakaw, a true legend in the sport of Muay Thai. This festival is truly an event for all ages. The organizers have also put together events for kids and that the whole family can take part in. Face painting, arts and crafts, kids yoga, and a photography walk are just a few choices. Visitors can choose from a variety of accommodation options when attending the festival. You can camp onsite, park an RV, or stay in a hotel in Pattaya. 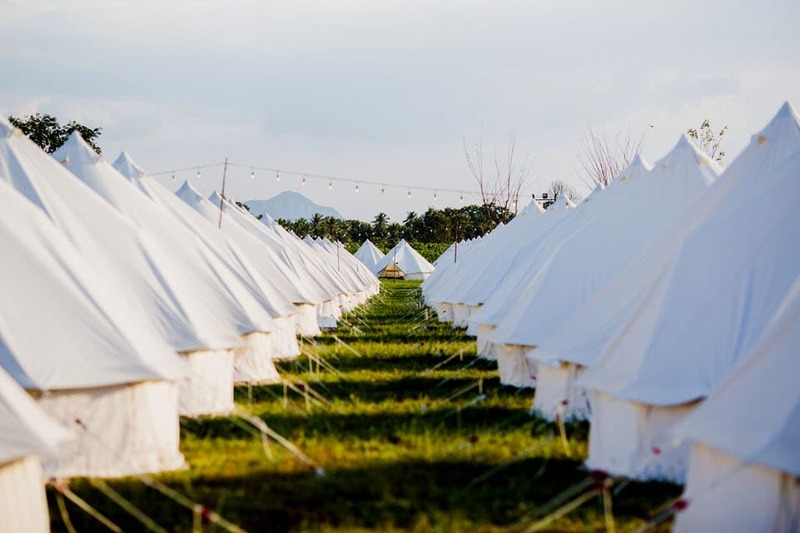 There are several tent options available, the Safari Tent, Bell Tent with AC, and a Bell Tent with a fan only. The first two options are already sold out. These options are all fully furnished tents, the Safari tent is the most luxurious with actual beds. There is also a general camping area that is free to all ticket holders. You find your spot and pitch your tent, about what you would expect. If you are driving an RV to the event you can get spots with or without an RV hookup depending on the type of vehicle you bring. 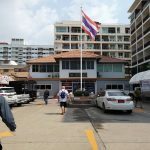 Another option many will prefer is staying in a hotel in Pattaya and taking transport to and from the festival everyday. You can take a look the full list of hotels here. Some of our favorite hotels are already sold out this weekend. Best to book quickly! Tickets can be purchased online from their website at a discounted rate. You can also purchase them at the door. A four day pass will cost you 6,000 THB at the gate. One thing to note is that your ticket will be exchanged for a wristband at the gate. This will let you into the event each day. If you take it off, you will not be allowed back in. The wristband also has a digital chip that will allow you to take part in the cashless experience. You can top up your wristband with cash or credit cards at various stands around the park and then use your wristband to make purchases. On Sunday you can get a refund of any unused funds. 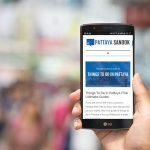 We love Pattaya and want you to love it too. 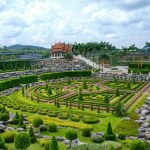 We’re sharing our decade plus worth of experience traveling to and living in Pattaya, so that you can enjoy the city at it’s best.